In 2012 Dirty Mike and the Boys were hired for beer to play at what would be the most epic end-of-the-year party in recent Michigan State University history. A few parties, Craigslist ads, and rehearsals in Bota’s basement later, Desmond Jones was formed and has been playing around the country and eating at the finest diners in the Midwest ever since. 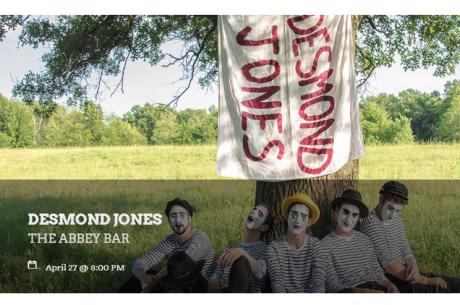 With a catalog of 60+ original songs, Desmond Jones has performed over 500 shows across the country, sharing the stage with bands like Papadosio, Dopapod, EOTO, The Werks, The Main Squeeze, Here Come the Mummies and many more. Their self-titled debut album “Desmond Jones” is available now on all platforms.